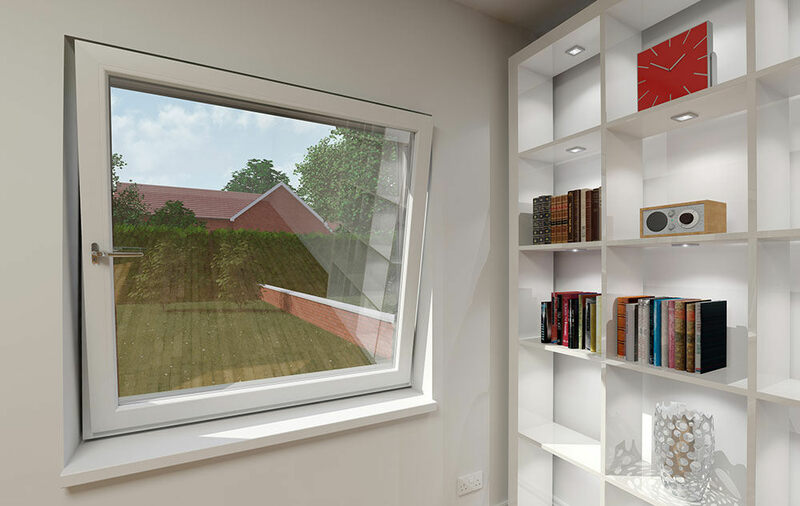 Our uPVC tilt and turn windows are perfect for when you want style coupled with functionality. At Opus, we pride ourselves on offering our customers with the highest level of windows on the market. To ensure we are always providing the best, we work with market leading supplier, Eurocell. They have worked for years within the industry, to refine their products and enhance their usability. Read on to find out more. We offer the incredible double glazed uPVC tilt and turn windows, from Eurocell, to homes throughout Romford and Essex. The unique inward-opening sash enables easy, safe cleaning without needing to go outside. It also provides a wide choice of safety conscious ventilation options, to give you peace of mind. The innovative tilt and turn mechanism provides you with the choice of either wide side or top-fixed opening allowing for easier ventilation. So, you can maximise airflow when the weather is good and still have ventilation when it’s not. It is also possible, depending on size of aperture, for these windows to provide a practical emergency escape route. A ’tilt only’ function provides instant ventilation without compromising on security and it can be locked in place to ensure safety. Enjoy outstanding multi-functionality in your Romford or Essex home. Our uPVC tilt and turn windows are fitted with concealed gearing for a streamlined and appealing finish. These windows achieve a crisp, clean aesthetic to match that of your home, giving you a seamless blend. A 90° turn action allows for safe and easy access to the outside glass panel. Thus, making it the perfect choice for upstairs windows and high-rise properties throughout Romford and the Essex area. To help get a seamless blend between your window and your home, we offer a range of colours for you to choose from, and a selection of hardware and accessories. So that your window will be perfect for you. The safety and security of you and your family are of the highest importance. Our uPVC tilt and turn windows are fitted with high security locking mechanisms and are incredibly robust, keeping your home in Romford safe and secure. Our multi-chambered profiles don’t just offer style and sophistication. 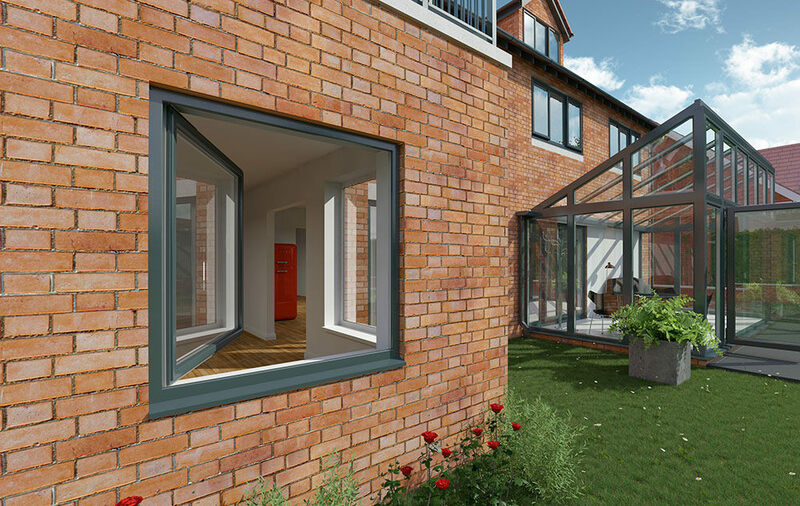 For exceptional energy efficiency, our uPVC tilt and turn windows have a multi-chambered profile, which acts as an insulating barrier, minimising heat loss. Our uPVC tilt and turn windows offer exceptional levels of core safety. 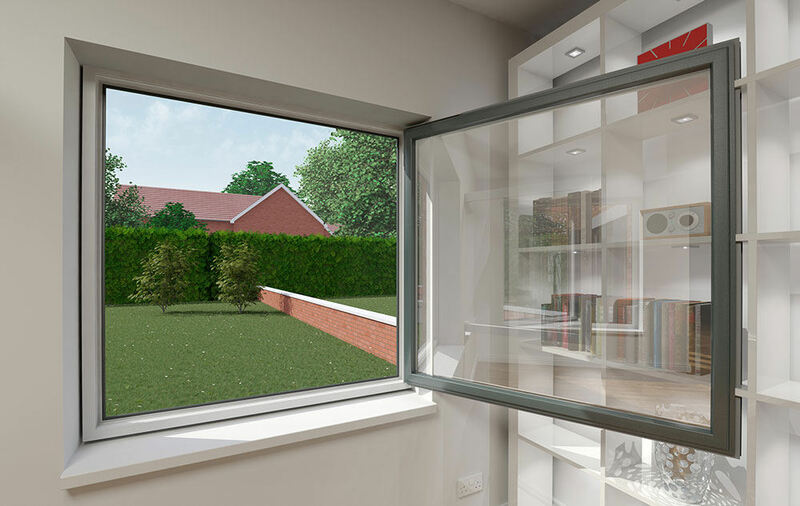 Not only will little ones and pets be kept safe when you use the tilt locking function, but these windows can also be used as an emergency exit route if needed. Our exceptional windows by Eurocell are great at keeping you and your family safe. By using multipoint locking systems, you can be sure that you are getting the best products on the market. They are also Secured by Design accredited. We understand that not all windows will match your home’s aesthetics. This is why we have a range of high performance colours and finishes for you to choose from. Including this, we have woodgrain and frosted glass options. We know how important it is to spend as much time as possible with those you love most. Which is why we have designed our products with you in mind. Each of the windows we offer are designed to be extremely low maintenance. If your windows are old and tired looking, we have the perfect solution for you. Our uPVC tilt and turn windows are available in a range of subtle metallic and premium woodgrain finishes that enhance your Essex home’s elegance and are ideal for replacement windows on period properties. We offer exceptionally competitive double glazed uPVC tilt and turn windows prices to our customers in Romford and across the Essex area. To find out more about our range of stunning uPVC tilt and turn windows in Romford and Essex, get in touch with us today on 01708 732131. Alternatively, send us an email using our online contact form. Give us as much detail as you like and we will get back to you with informed responses to your questions. Or, if you’d like a quick quote for your new set of uPVC tilt and turn windows, use our simple-to-use online quoting engine. If you want to see our products in person, feel free to pop down to our showroom. We will be happy to guide you through the range of products we have!